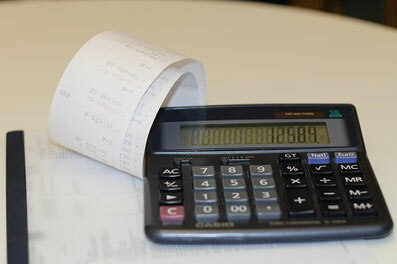 Employees in Germany require monthly payroll administration. We prepare payroll slips based on our professional and legal standards. Based from our office in Munich/Germany we can also advise you on payroll tax optimisation and related fields such as accounting services and tax services. A salary statement is necessary if salary is paid in some form to employees, including the managing director. The salary statement is used to determine the payment amounts for employees, social security and the wage tax. The salary statement is the basis of a social insurance audit and must be carefully considered and stored. For a managing director of a GmbH, special rules apply in the area of social insurance if he has a significant influence as a shareholder of the GmbH. Then he is actually regarded as a self-employed person for social insurance purposes. The managing director must then privately provide health, pension and unemployment insurance since he is not obliged to use the state-run system. Alternatively, he can voluntarily continue to pay statutory contributions. The appointment to the managing director must be decided by the shareholders' meeting. With the appointment the managing director becomes the management body of the corporation. An employment contract is not absolutely necessary and can be omitted if no salary is to be paid. In practice, there are many managing directors, who work at least in the founding phase "for free". The employment contract is required, however, at the latest when payment is made. The shareholders' meeting must conclude the employment contract with the managing director. It may also authorize a second managing director to do so. If a second managing director, without authorization, closes the employment contract with the new managing director, it is temporarily valid, but can be terminated easily. The amount of remuneration must always be checked by means of an external comparison. Each case is assessed for appropriateness, e.g. In relation to the industry, activity, size, turnover and profit situation of the company. For this there are detailed reference examples and expert opinions. In the case of planned changes in salary, the tax situation must always be examined in detail. It is also possible to agree on a bonus based on the profit of the company in order to link the salary to the company's success. However, turnover bonuses are should be avoided due to possible tax issues.